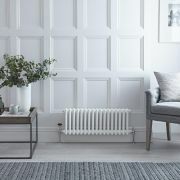 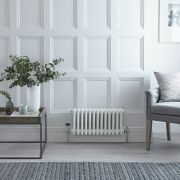 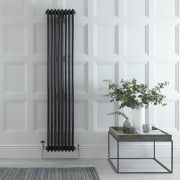 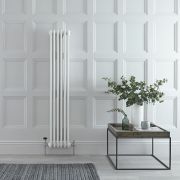 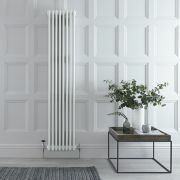 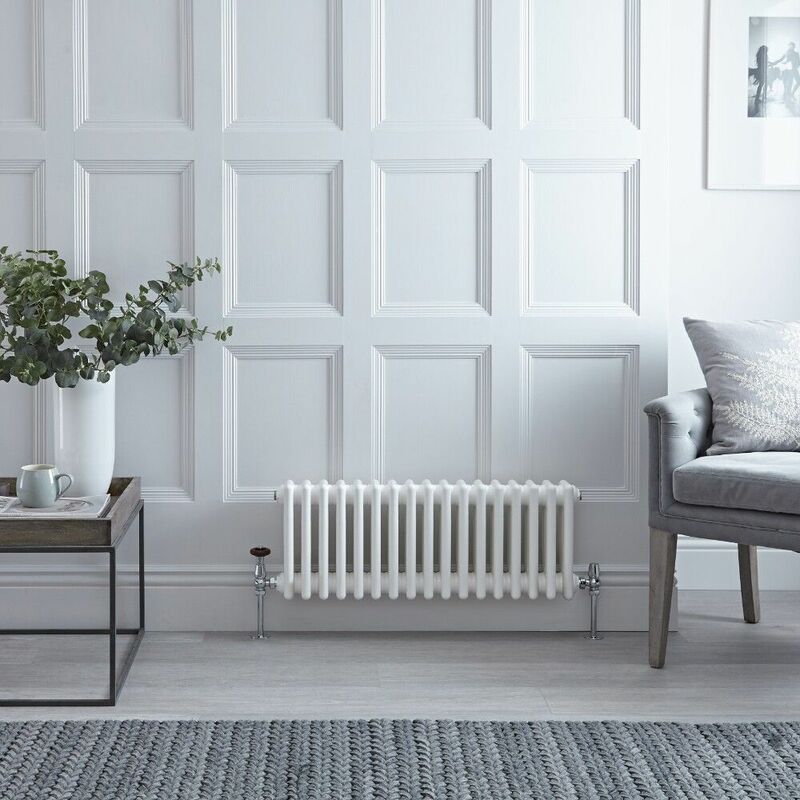 This cast iron style radiator, with a high quality white powder coat finish (RAL 9016), has 17 vertical double columns that give an outstanding heat output of 541 Watts (1,846 BTUs), enough to warm a room quickly and effectively. 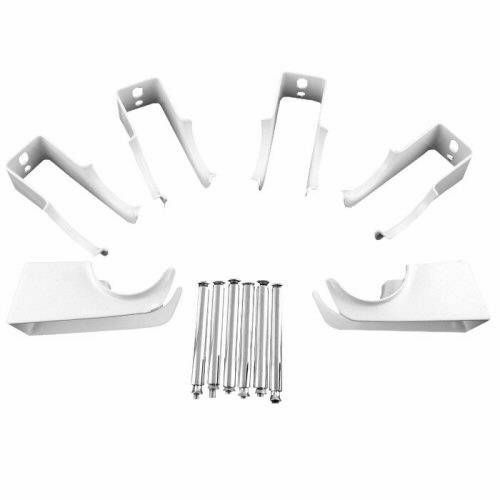 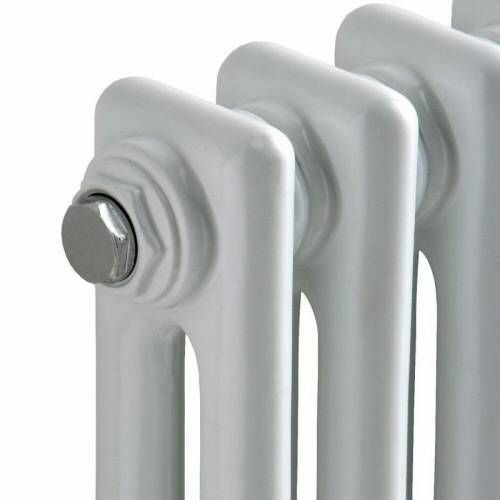 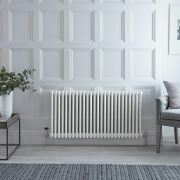 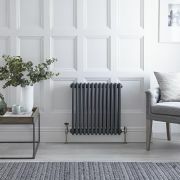 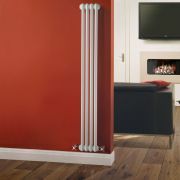 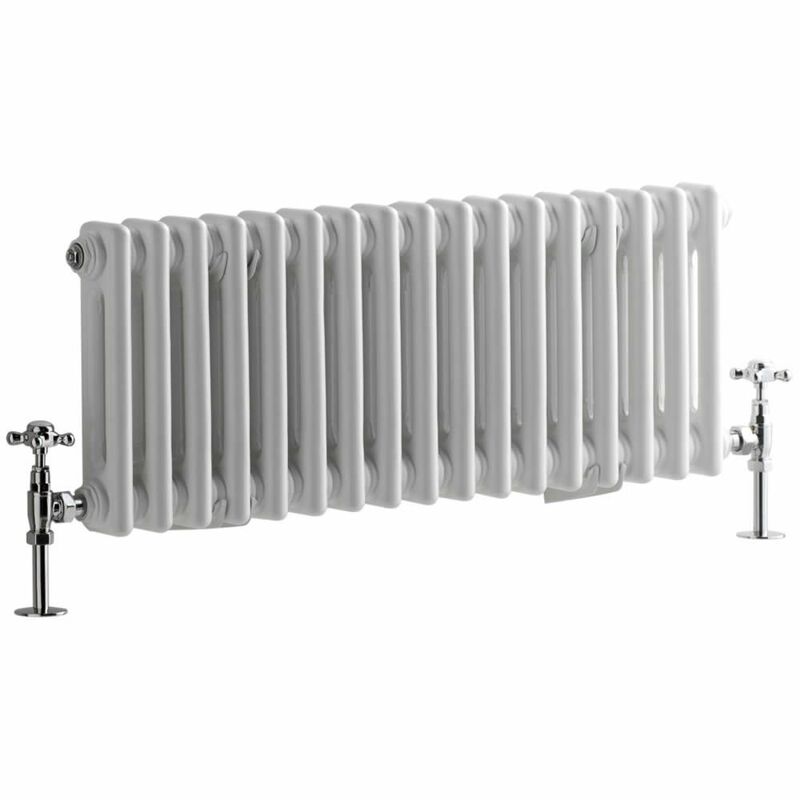 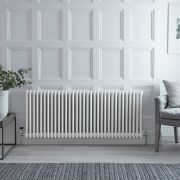 • Please note: Angled Radiator Valves are required, please choose from the options above. 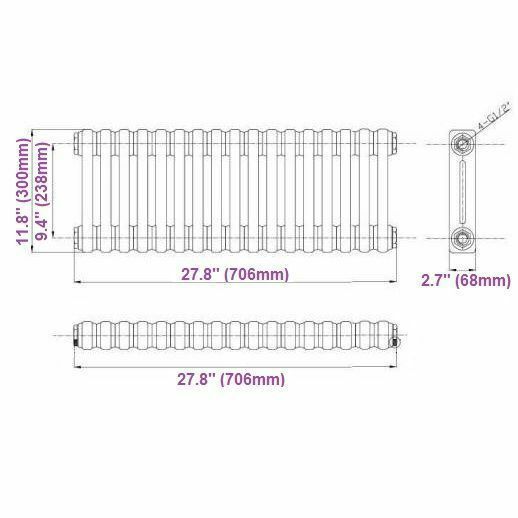 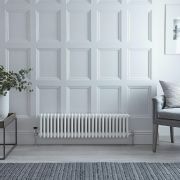 You're reviewing:Regent - White Horizontal 2-Column Traditional Cast-Iron Style Radiator - 11.75" x 31"